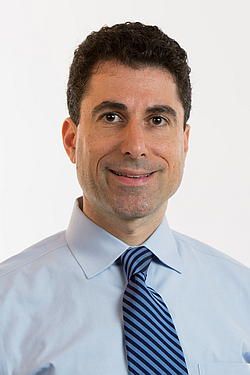 Daniel A. Weiser, MD, is a Medical Director of the Intra-abdominal Solid Tumor Program in the Pediatrics Hematology/Oncology department at Children’s Hospital at Montefiore. He is also Assistant Professor in the Pediatrics and Genetics departments at the Albert Einstein College of Medicine. His clinical focuses are neuroblastoma and adrenal tumors, Wilms tumor and other kidney (renal) tumors, hepatoblastoma and other liver tumors, germ cell tumors (including testicular and ovarian tumors), Thyroid and other rare tumors, experimental therapeutics, and cancer genetics and biomarkers. Dr. Weiser is actively involved in teaching and mentorship of trainees and takes great pride in his active participation in patient care. Dr. Weiser received his Bachelor of Science in Neurobiology in 1995 at Haverford College, PA. In 2004, he received his Doctor of Medicine at Stony Brook University School of Medicine, NY. He is currently earning his Master of Science in Translational Research at the University of Pennsylvania. He began a residency in Pediatrics at the New York-Presbyterian, Columbia University in 2007. Dr. Weiser then completed a three-year fellowship in Pediatric Hematology/Oncology at The Children’s Hospital of Philadelphia. Dr. Weiser’s research goals are to understand the role of certain genes in the risk, development, and treatment of cancer. The approaches taken and agents studied hold promise in the treatment of all solid tumors. Dr. Weiser’s laboratory focuses on childhood cancer research with a goal of elucidating the underlying biology of the most aggressive malignancies. He has multiple ongoing projects, such as identification of biologic drivers of neuroblastoma at ultra-high risk for treatment failure, characterization of neuroblastoma development from neural crest cells, and evaluation of novel combinatorial targeted therapeutic approaches in neuroblastoma, among others. His research has been published in many reviewed journals. Dr. Weiser participates in the efforts of a number of professional organizations including the Children’s Oncology Group (COG), American Association for Cancer Research (AACR), American Society of Clinical Oncology (ASCO), and the American Academy of Pediatrics (AAP). He has received many awards including the Brigid Leventhal Special Merit Award through ASCO, and he has been awarded a prestigious K12 from the NCI for the training of the next generation of physician-scientists in pediatric cancer. He is board certified in Pediatric Hematology/Oncology and General Pediatrics.